Between filming movies, making professional wrestling appearances, working out to a ridiculous extent and eating more than 5,000 calories per day, Dwayne “The Rock” Johnson is a very busy man. 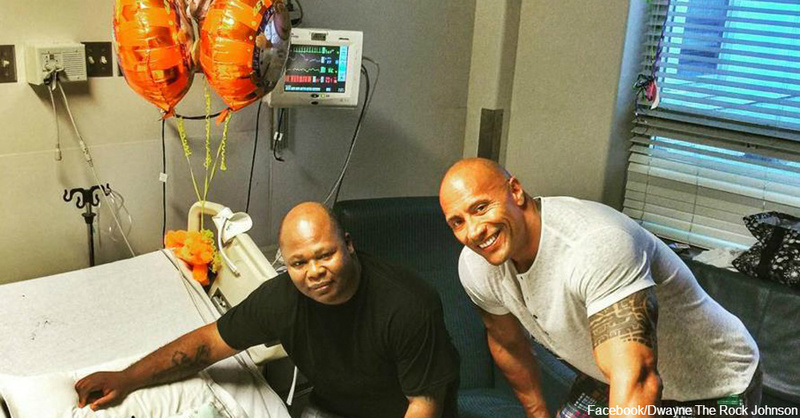 However, he always makes time for his fans, especially those in need. 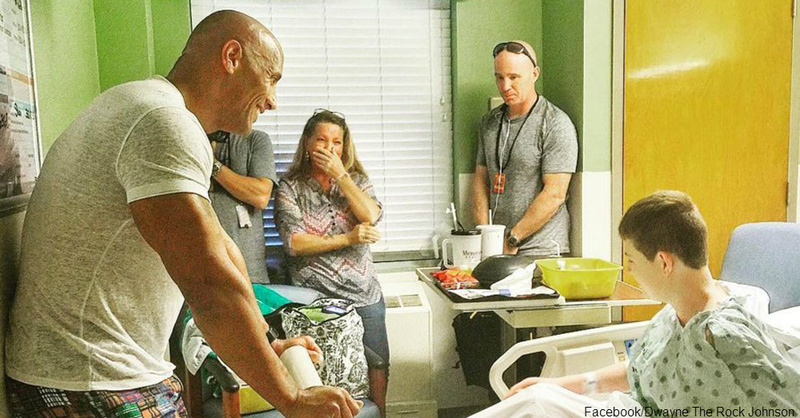 When his new movie “Baywatch” shot some scenes at a hospital, Johnson decided to stop by the children’s ward to say hello. Hearing about a slightly older fan who had also wanted to meet him, Johnson says he “called an audible” to pay the boy a visit. According to USA Today, Johnson visited children in the pediatric ward at Memorial Health Hospital. He posted pictures of the experience on his Instagram, with captions thanking the staff for all their hard work and for making the visit possible. He told the parents of those children to stay strong, and even complimented one little boy’s concentration before mentioning how he wished he was that focused in his high school math classes. After that visit, Johnson heard about another boy in the hospital named Christopher who had also really wanted to meet him. According to Sunny Skyz, the problem was that Christopher was in a different area of the hospital because he was too old for the children’s ward. 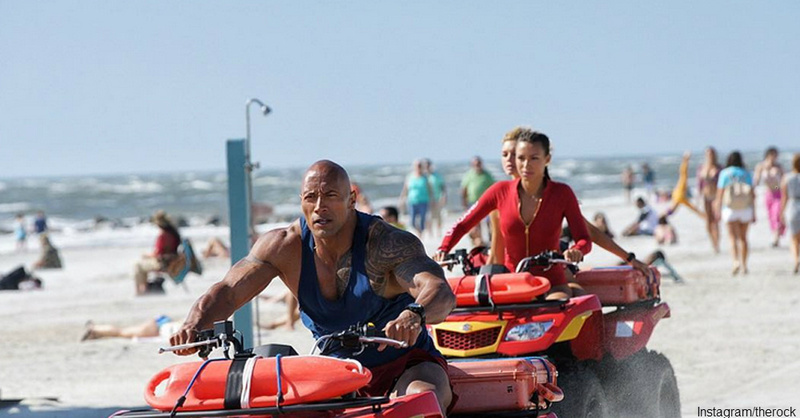 Christopher’s mother ended up pleading to the “Baywatch” production staff, asking them to see if Johnson would visit her son. Johnson did what a true hero would do. He called to put production on hold for a bit and went up to Christopher’s room for a visit. The two chatted, and Johnson made sure to compliment the boy on his cool scars, which he said the boy should show off with pride. While Johnson frequently gives back to his fans, for the people he meets, it’s the experience of a lifetime.